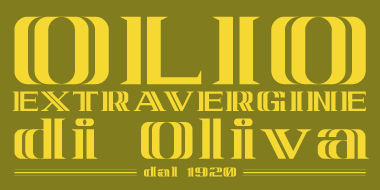 A very small grid size, and a large diversity of bricks, for a serif font reminding Italian food labels from the 50s and 60s. Info: Created on 17th March 2010 . Last edited on 27th April 2010. Superb font. Very clever, reminds me of a font called Sphinx, but much more modern. I think your 't' & 'k' are triumphs. 10/10. Maybe the N could be looked at, by having a diagonal inline stem. Genial! Very Good! Could you complete soon the rest of the glyphs in the font, please? It is a very very elegant typography. 10/10. @djnippa: you are right, the usage of the inline in stems and diagonals should have asked for a letter N with a diagonal inline. But I tried it and the letter appeared too wide among the other gliphs (see below), so I preferred an "unconventional" design. I'm sorry, but I didn't reproduce the left side of your M properly. If the first few columns of the two glyphs were identical, I think my proposed N would be actually be two bricks thinner than your M, not one. Congratulations! FontStruct Staff have deemed your FontStruction worthy of special mention. “Oliva” is now a Top Pick. @jmarquez & luiscastellon: thanks for your comments. @fontcollector: thanks for taking time to build the M letter and suggesting a different N, I really appreciate. However your version is in-between what the N should look like, and what it looks like, and it seems quite unbalanced to my eyes.